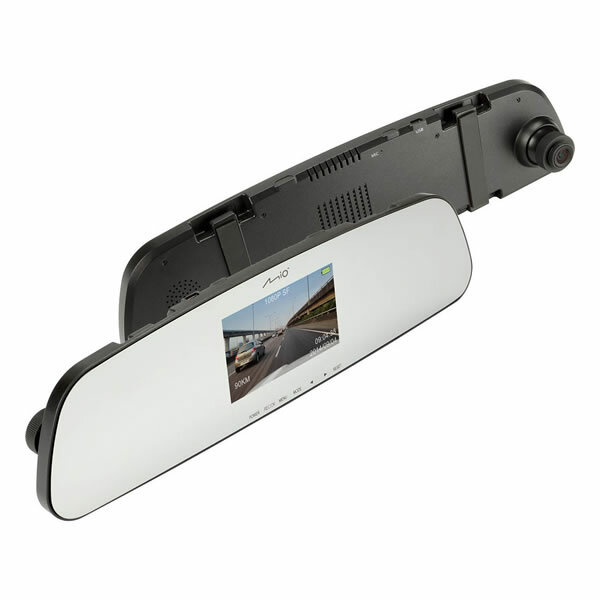 Mio MiVue R30 is a rear view mirror mounted accident camera that will record events in the road ahead. There are two separate parts - one clips over the front of your rear view mirror and the other half of the device clips over your original rear view mirror. The recording angle of the incident camera is 130 degrees and it will record in Full HD 1080 pixels. There is a 3-axis G-Force sensor that will detect impacts and heavy G-Forces to automatically save video. Mio MiVue Manager enables you to view videos on your computer. Along with the video you can view G-Sensor G-Force data and you can view your route taken on Google Maps using the GPS technology built in to the device. 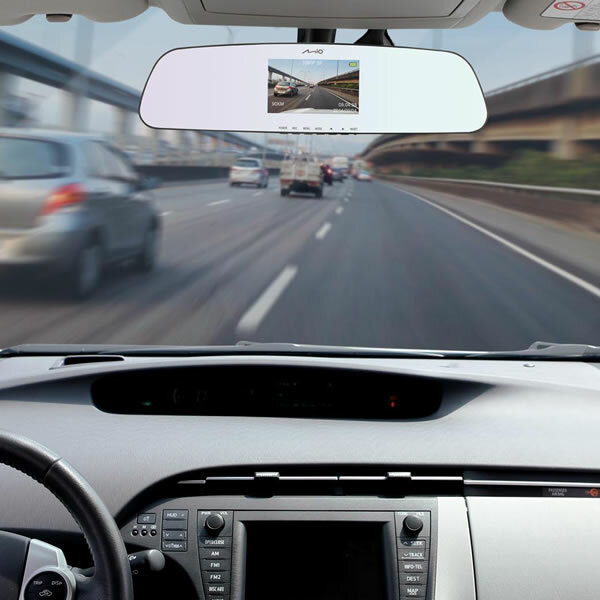 Mio MiVue R30 is an accident camera that is fitted to the rear view mirror for capturing events in the road ahead. 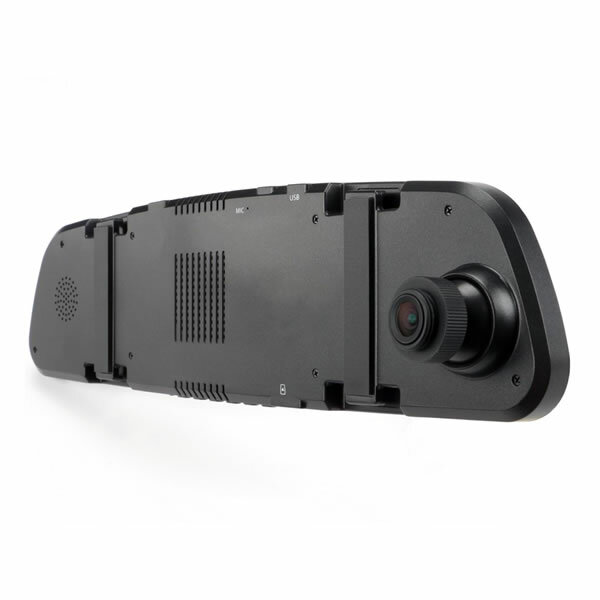 This camera mounts to your existing rear view mirror by clipping over the front and rear of your rear view mirror. This mounting solution keeps your dashboard clutter free allowing for a neat installation of your camera. This mirror mounted camera is a slim and compact design. The Mio camera includes a mirror that replaces the current mirror with a Mio mirror. The Mio mirror also doubles as the screen for playback of video. By pressing the power button you can alternate between using the Mio rear view mirror and the screen for playback of video. Recording is done in Extreme HD. You will then be able to capture events in the road ahead or record scenic journeys to share with friends and family. The recording angle of the camera is 130 degrees meaning you will get a wide view of the road ahead. This Mio camera has a built-in 3-axis G-Sensor which will save and prevent the recordings from being overwritten when sudden motion is detected. G-Forces are also recorded which can be viewed on a computer with the Mio Software displaying direction and force of accident impacts, or heavy braking. Mio MiVue Manager allows you to share videos on Facebook and YouTube. Do you have a question about the MiVue R30 that's not been answered on this webpage? Please see our Dash Cam FAQ's for questions from other people. If the answer to your question isn't featured, use the online form to ask us for the answer. Alternatively please telephone 01733 777623 Monday to Friday (9:30am-5:00pm) to speak to one of our sales team. For further information online please see the Mio MiVue dash cam comparison table. 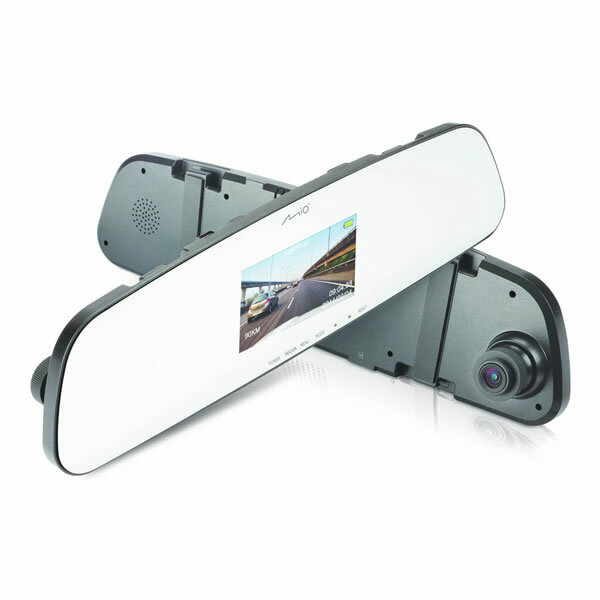 The Mio MiVue R30 offers the most discrete installation for a camera to capture events in the road ahead, as it does not require anything to be mounted on your dashboard. The R30 from Mio comes as two separate parts. One part clips to the front of your rear view mirror and replaces the original mirror by clipping over the current mirror. The mirrors also doubles up as a screen for viewing video(s). The camera part of the device clips to the back of your original rear view mirror to capture events in the road ahead. MiVue Manager is a tool for you to view the videos recorded on your MiVue R30 recorder on a PC computer or Mac Computer. The Mio MiVue software can be downloaded from the Mio Service website.